Liverpool fragrances are inspired by the Liverpool Football Club members and it is a part of their merchandise. Liverpool Blue uses very unusual and rare materials in order to create perfumes that evoke the sense of timeless freedom and serenity. Liverpool Black is an aromatic fougere fragrance for men that is full of energy. Liverpool White Deo is the composition is built of a perfect harmony of sweet and salty notes of sea water and nuances of sunny warmth on your skin. It is full of scorching Mediterranean sun. Bitter citrus with aromatic nuance of rosemary intertwines with salty, sea nuances and pellucid hedione. Sharp notes of spices are softened by woody base with warm, musky trail. Explore the entire range of Deodorants/Roll-ons available on Nykaa. 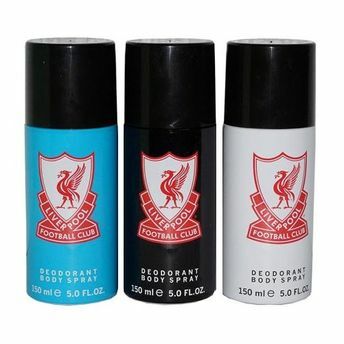 Shop more Liverpool products here.You can browse through the complete world of Liverpool Deodorants/Roll-ons .